Thylacine Ghosts: Extinct Tasmanian Tiger Spied in Wild After 80 Years? 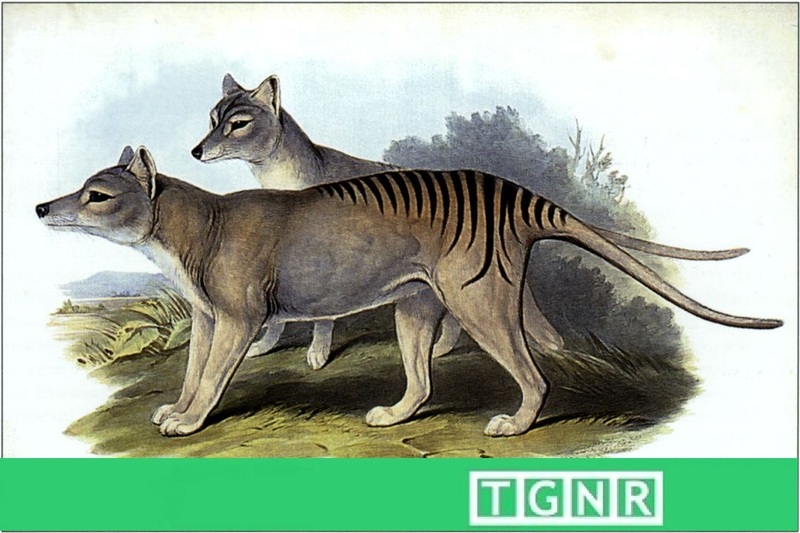 The last Tasmanian Tiger – the thylacine – died in captivity 80 years ago. Believed extinct, a search begins due to sightings in Queensland. The last known living Tasmanian Tiger – also known as the thylacine – died in captivity eighty years ago. However, sightings of the striped, dog-like marsupials have persisted throughout the decades. Now, following a pair of new sightings in Queensland, Australia, James Cook University is officially tasking a scientific search for the erstwhile extinct species. What exactly is different about these sightings? According to co-investigator Professor Bill Laurence, the difference is in the details. One observer was a frequent camper of the Far North Queensland Area who provided a detailed description of a thylacine-like animal. The second report came from a long-standing Queensland National Parks Service employee who described spying four animals fitting a thylacine’s description at approximately 20 feet. Moreover, though spotted at night, the group of potential thylacines were seen under the full brightness of a spotlight. “Benjamin” the last known Thylacine at the Hobart Zoo in 1933. Proper scientific method dictates all other possibilities also be ruled out. However the sightings have begun a methodical search. The scientific task force is currently scouting the best spots to lay “50 hi-tech camera traps” they will use to survey the region of the Cape York Peninsula, in which the sightings took place. For purposes of the research, the exact location on the peninsula is being kept a secret. They hope the expedition will begin in earnest by early April or May when the high water levels in the area recede. Called “Tasmanian Tigers” for their dark dorsal stripes, Thylacines (Thylacinus cynocephalus) were one of only two species of marsupial in which both sexes bore pouches. As apex carnivores, Thylancines range originally includes Tasmania in Australia, and New Guinea. Examples of the the thylacine can be found in rock art dating back to 1000 BCE. Thylacines became formally extinct when the last known thylacine died in the Hobart Zoo in 1933. On mainland Australia the species had largely disappeared from the wild nearly two-thousand years earlier. There is hope however that the Tasmanian Tiger has not truly met its exstinction afterall.